So I mentioned in my "Getting Naked" post here, a few days ago, that I had found a budget dupe for the original Urban Decay NAKED Palette! 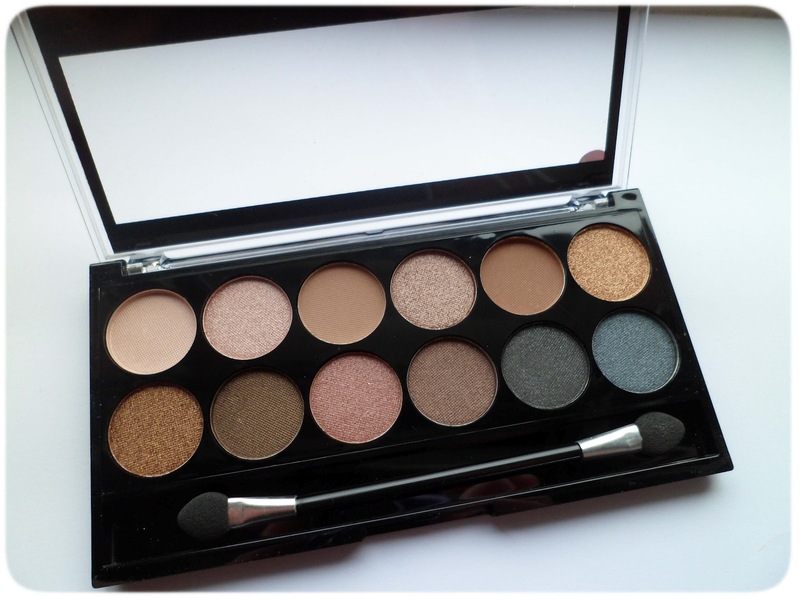 At £36 for the palette, although it is a gorgeous set of shadows the price is a little steep. 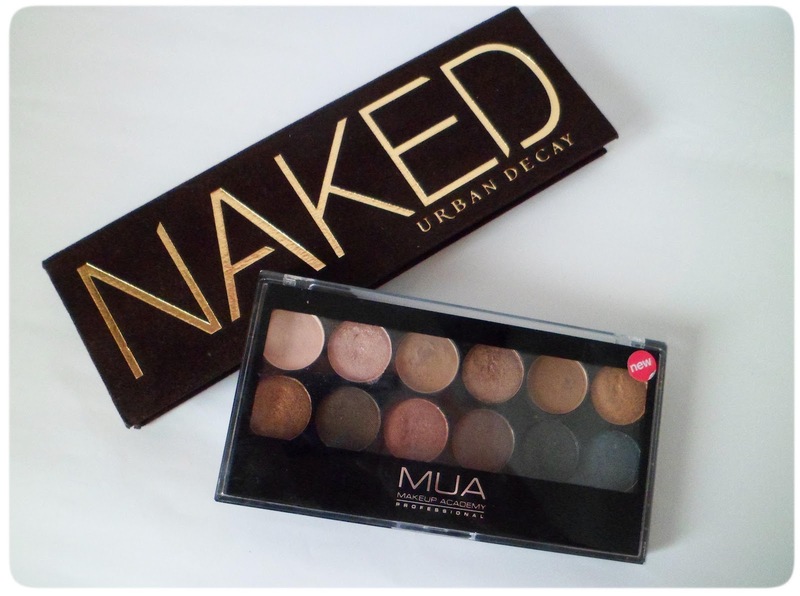 I was a very lucky girl and my boyfriend actually bought me both Naked palettes as gifts :) I don't think I could have ever bought them myself and I know a lot of people have said they won't either so I was on the lookout for a cheaper alternative, & here it is, MUA's new Undressed palette! The Undressed palette's packaging is typical of MUA's well known simple black and transparent plastic case, the great thing about this is that it makes it easy to see the shades inside without having to open the case itself. The case is also very slimline so is ideal for carrying around in your handbag etc. Unfortunately the case is a little flimsy, on one of my other MUA palettes the lid has come off completely. The Naked palette comes in a protective cardboard box to start with, which in all honesty doesn't look anything special, however once you actually open it to reveal the beautiful dark brown velvet case, you can just tell the quality of work thats gone into creating the palette. Naked does also have a mirror on the inside of the case. Overall I prefer the Naked palette's packaging based on appearance because it looks luxurious and stylish. However, MUA's undressed palette is practical and sleek and is ideal for carrying/travelling because its so small and compact. The Undressed palette comes with a simple sponge applicator, like a lot of the lower priced eyeshadow palettes. In all honesty, it isn't too great, but not the worst, I just prefer to use a brush rather than a sponge. Naked comes with a pretty eyeshadow brush, the bristles are extremely soft and I love using this brush! The design of this brush matches the palette very well. Overall, Urban Decay win this section, their brush applicator is of a much higher quality than the MUA sponge applicator. It is much better for blending shadows together. However MUA's sponges were fantastic for swatching! MUA do let themselves down slightly with their matt finish eye shadows, the colour pay off is not great at all. But the rest of the colours are gorgeous and work well. The texture of the shimmery eyeshadows is very soft and they apply to the eye easily without tugging and rubbing. The Urban Decay eye shadows are highly pigmented and the colours show off well when applied, the texture is smooth, silky and once again easy to apply. Even the matt shadows are well pigmented in the Naked palette. Overall I think both palettes are very similar on the quality, and if I was to leave out a couple of the matt eye shadows in my comparson, then I'd say they're near enough identical quality. MUA Undressed is priced at just £4! Bargain right? So, then each shadow works out at around 33p. There is nothing really at all to grumble about the price of this palette. The Naked palette retails at £36. Now, in all honesty I would have never bought this palette myself as I feel its far too expensive for me, but my boyfriend actually bought this as a gift for me. The shadows work out at around £3 each, which is a reasonable price considering the great quality. Overall it depends on which market you are looking for, MUA are the cheaper budget buy alternative to Urban Decay who are the higher end, more well known and established brand out of the two. 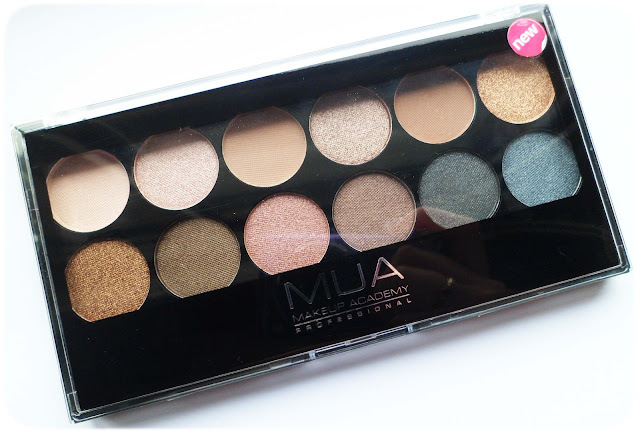 MUA Undressed palette, is available from selected Superdrug stores and online & at MUA Store online. Urban Decay Naked is available at Debenhams, House of Fraser and online at Urban Decay's website. Shades 1, 2, 3, 4, 5, 6, 7, 8, 9, 10, 11, 12. Hope you've found this review helpful! Wow:O I can't believe how similar they look in the swatches!! I would definitely rather spend £4 than £36 when they are that similar! Wow, these really are quite similar! Looking at the swatches, I was stunned by how alike they are! I have been really wanting the Naked palette for a while now. I think I'm going to splurge on it soon! 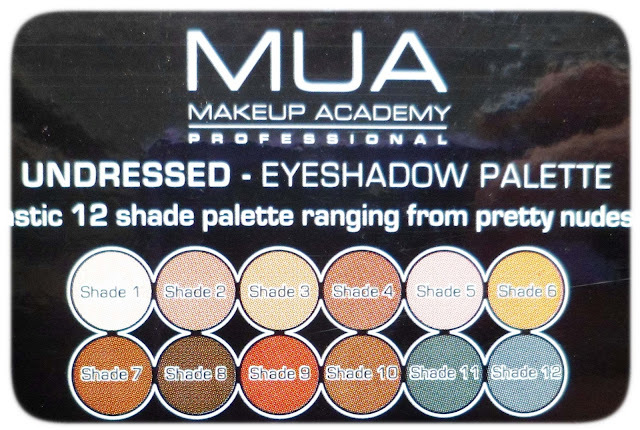 I'm so tempted to try out the MUA palette! In all honesty I'd never have paid for the Naked Palette myself. I had no idea they were this similar! wow check out the swatches!! i have the naked palette but whoa! if ONLY they put a teeenyy tiny bit more work into the packaging i would be sold with MUA! i'm just a bit iffy about the matte shadow pay off and the packaging breaking on me! I'd purchase the NAKED palette :) Thanks for posting-this was really informative! I would like to purchase mua that was really fascinating. Naked is also has great shades but first i will go for mua then naked. Thanks for showing us such a great collection. Wow those are insanely similar! I'd get the Naked palette if I could but it's just too expensive for me and MUA isn't available in India, so i'm just going to sit in my sad corner. LOL! Wow that is a really great dupe! New follower! A friend of mine just bought Urban Decay shadow and it looks fantastic. So sparkly and pretty, but I just can't do shadow for my life. I'm very intrigued since this is my 2nd encounter with the same make-up in less than a week. I may have to go and experiment now. That MUA palette sounds great! 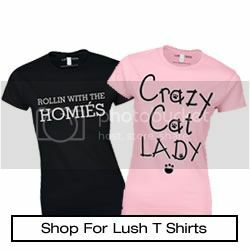 I might have to buy that! And I agree, the Naked palette is a bit too expensive for my liking! I found this great review, I am Brazilian and I wonder where I can find to buy this palette MUA? 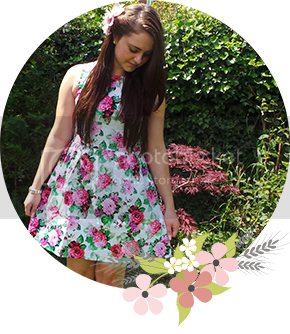 Thanks, and love your blog! I'm personally not a fan of UD Naked palette but everyone seems to rave about it. However after seeing these comparisons there's no way I'm ever buying the UD one. I enjoy quality but I also like a good value for my money. MUA all the way! I agree, the paperboard packaging looks completely different. Also, the original UD Palette always comes with a mini eyeshadow primer potion. MUA undressed palette is still a good one though. Top tips on how to get rid of stained nails! Olympics 2012 Great Britain Nail Art! How To: Set Up A Facebook Fan Page For Your Blog!